Before I begin I will give you a bit of background on this article. charges were unauthorized and were not made by me, I had been scammed! this link then you will be taken to a login page and asked to enter your details. you are likely to then receive even more scams. spoof. Your email can only pass the test if it passes ALL FOUR of the tests. that your email is genuine. shouldn’t be replied to and should be deleted immediately from your computer. “Other Tips” page for more good ways to spot a spoof email. spoof” page) and ask them to confirm if the email is genuine or a spoof. email address instead of the generic “Dear member” or “Dear user”. out the 3 other tests. can quickly tell if your email is a spoof by hovering your mouse over the link. link above then the chances are that your email is a spoof. in the final part of the link. These are also spoofs! move onto the next test. as it looks. What we are going to do is find out where the email came from. have been known to contain viruses that are activated by clicking on the link. that data on a removable backup device. bar at the top of the login page. Have a look at the http:// part of the URL. show you that you are about to submit data over a secure connection. bottom corner of the screen then it is a spoof! if a senderID could not be verified. Any spoof email will contain this warning. your PIN then contact your bank immediately. that your account is at threat if you don’t act quickly. This is not the case. you received in your inbox isn’t listed there then it is a spoof email. page is a spoof. The Ebay toolbar is FREE to download. every comment that you post and do my very best to reply to them! Welcome once again to another of my eBay artilcles. This week I have decided to take a look at shill bidders and what you can do to spot them. Shill bidding is a major problem on eBay and can cost you a lot of money, chances are that you have already been a victim of shill bidding without you even know it! If you are a user of eBay then the chances are, that you have already come across the term “shill bidding”. Shill bidding, is bidding that is used to artificially inflate the price of a certain item. Shill bidding usually takes place when the seller of an item wishes to increase the price, or generate interest in the item. The seller would usually get a friend or family member to bid on the item in question so that it looks like the item is more popular than it actually is, sometimes the seller may also use a second eBay account to increase the price of the item. Shill bidding is prohibited by eBay and rightfully so. In my time I have been the victim of a shill bidding eBay scam. I was bidding on a digital camera and was surprised to see the price increase dramatically every time I made a bid, each bid that I made was followed by a new bid from an eBay user without any feedback. I thought this was very strange so I contacted eBay, they confirmed to me that the seller was using a second account to increase the price of the item, in the hopes that I would keep bidding and be made to pay a higher price. The listing was pulled by eBay and the seller had both of their accounts suspended. I was lucky but unfortunately many others are not so fortunate. Shill bidding is a huge problem on eBay and you may have already been a victim of this scam without even realising it! Hopefully after reading this guide you will be able to spot if a shill bidder is bidding on one of your auctions. Look out for my email next Thursday. to bring you an exlcusive deal on their latest product. The first step to take if you feel you have been a victim of shill bidding is to look at the “Bidders List” for the item that you are bidding on. Usually an account that is used for shill bidding will have very little, if any feedback. The account could even have been created within the last 30 days with the sole intention of shill bidding for the seller, you can see if the member is new as they will have a small orange icon next to their user ID. You should also do some research into the sellers other sales. Look at the sellers other sales via their feedback profile and see if the shill bidder was bidding on those items as well. If the shill bidder was bidding then the chances are that the seller is using a second account, or the account of a friend to shill bid. Finally, another favoured method to spot a shill bidder is to look at how much the bids are increasing by. Usually a shill bidder will only place a “Nibbler” bid, this is a bid that is only slightly higher than your bid but then puts the impetuous on you to bid on the item again. The shill bidder will keep on bidding until you stop, they will then retract their final bid leaving you to pay for the item at a higher price than you should have paid! If you believe that you have been a victim of a shill bidding scam or think that an eBay member may be shill bidding then you need to contact eBay. 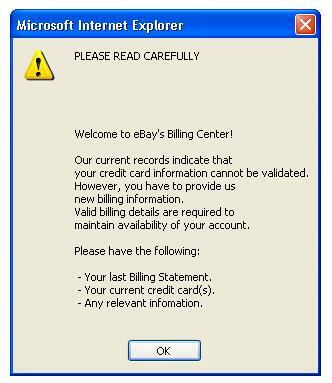 You can contact eBay using the contact form on their site, if eBay finds that the user has indeed been shill bidding then the all of the accounts associated with the shill bidder will be suspended. As always I will be reading the comments you leave and will do my best to reply to them all. So if you have any feelings (good or bad) for my newsletters please let me know! I don`t just post about Internet Marketing and E-Books you know, i`m also a football (soccer for you yanks!) fan. Here are my views on England so far in this world cup. As I sit here typing, we are just 8 hours away from Englands final group stage game against Sweden. England are already through to the knock out stages after struggling past two of the lesser teams in the competition – Trinidad & Tobago and Paraguay. These two lesser teams have already been able to expose the weeknesses and the predictability of the England team. I hate to think what will happen if England (im English and support England by the way!) come up a half decent team. Don`t get me wrong, I hope England do well but do I think it will happen – NOT A CHANCE! This England team have been hyped up to the moon by the so called “experts in the know”, saying we have the best crop of players since we last won the competition in 1966……have they been watching the same group of players as the rest of us? Arguably the best crosser of a ball in the world but is past his best. What pace he had is now gone, but he is still probably Englands best midfield player – a scary thought! I will get slated for this BUT what on earth is all the fuss about? When was the last time Gerrard had a decent game for England? And since when has Gerrard been on eof the best midfielders in the world. The amount of times he wastes a pass or gives the ball away is laughable, next time you watch England make a note everytime Gerrard gives the ball away, you will be surprised at how often it happens. Out of the 2 I would start Lampard infront of Gerrard every time, he is much more of an all round midfielder and doesn`t waste the ball as much. However if we come up against a good, or even average team I feel they will be able to exploit his weeknesses, mainly his predictability – get the ball pass it over the top of the defence and hope Owen can catch the ball! Mr Over-rated himself! All tricks and no end product, granted Mourinho has made him into a better player than he was but he still doesn`t have that vision to unlock a defence with a single pass, and he isn`t a left sided midfield player. The worrying thing for me is that these players honestly believe they are the best in the world, is it their fault for thinking this? I don`t think it is, I blame the media for all of the hype. I think they are so used to hearing how good they are in the papers they are starting to believe the hype. England are nothing more than an average football team in the same league as Sweeden, Portugal and the Czech`s. There is no way England can be mentioned in the same breath as Argentina, Brazil, Holland, Spain or dare I say it Germany!